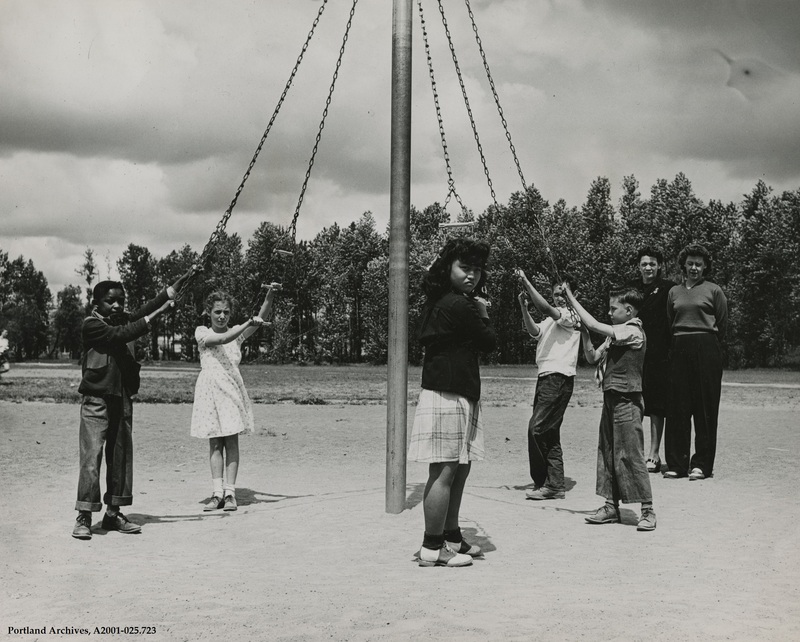 Children gathered around a maypole playground structure posing for a photo to publicize the efforts of Vanport citizens to raise funds for a summer recreation program, May 22, 1946. Oregon is home to many archives, most rich with collections documenting Oregon’s history. In order to highlight some of these collections containing Portland-area images, Vintage Portland has invited photo submissions from other archives within the region. Today’s photo and text is provided by the Multnomah County Archives. 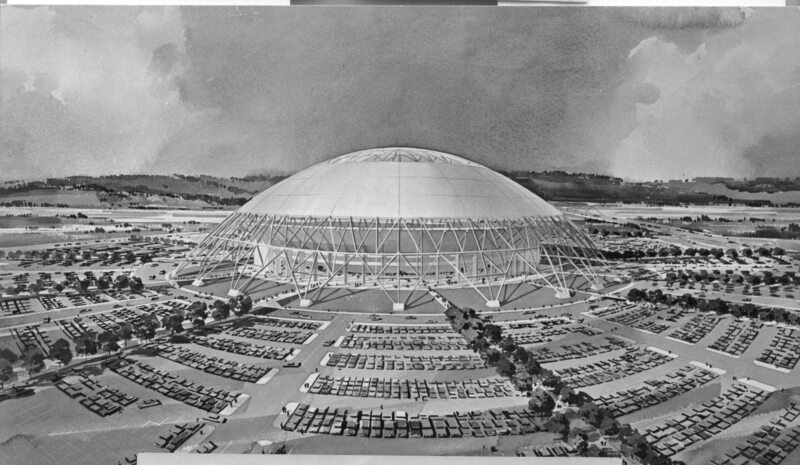 This 1963 artist concept shows the proposed Delta Dome. It was planned as a professional football and baseball stadium located in what is now Delta Park. Bond-based funding was rejected by voters in 1964. Access the Multnomah County Archives by clicking here. 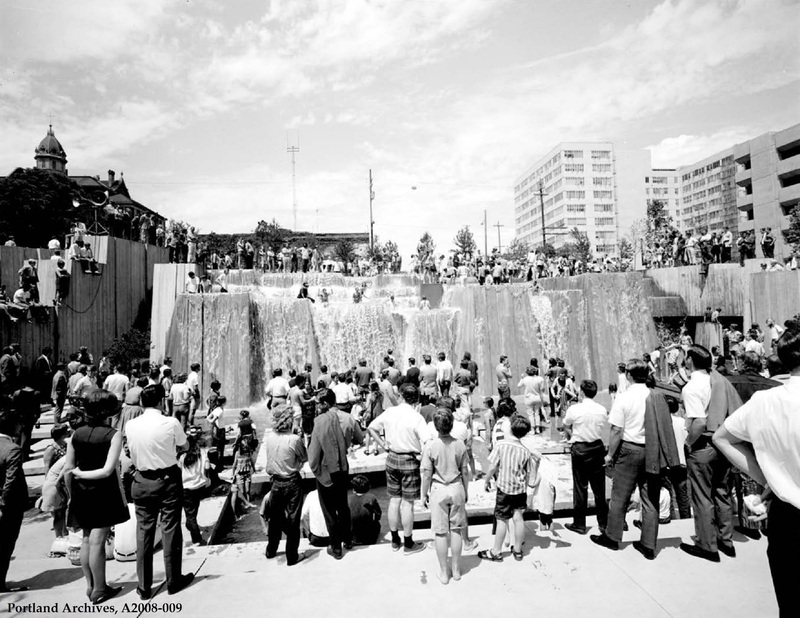 The dedication of the Forecourt Fountain (Keller Fountain) in 1970. 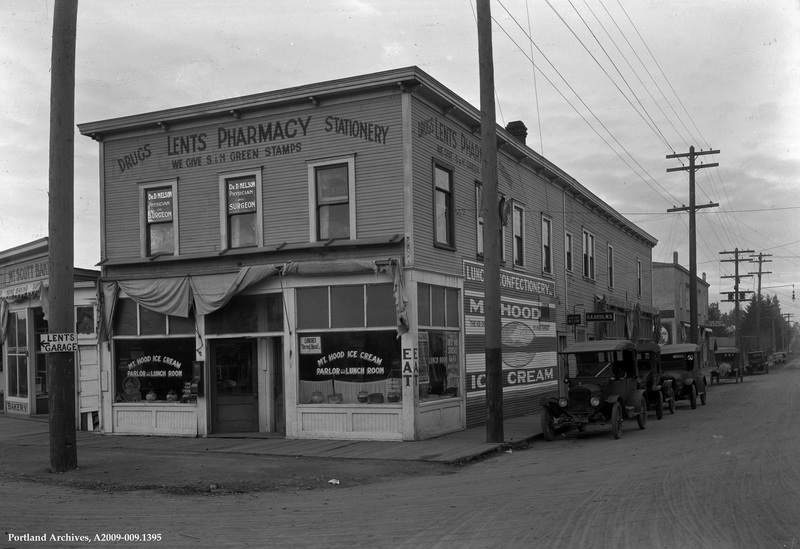 Lents Pharmacy on the corner of SE Foster Road and SE 92nd Avenue, 1932. View this image in Efile by clicking here. 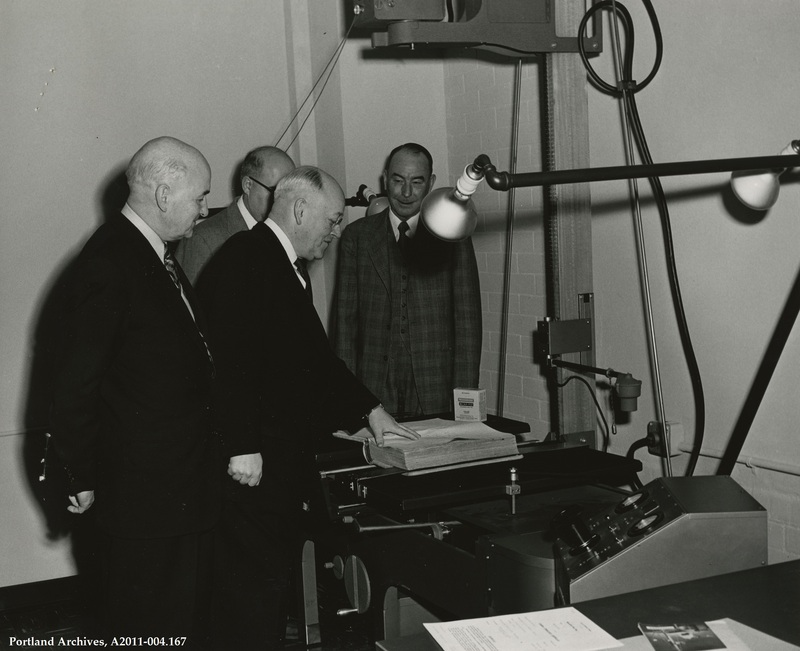 Mayor Fred L. Peterson micro-photographing the first document in the City’s microfilm program, February 23, 1955. The other men L-R are Commissioner William A. Bowes, Head of the Portland Civil Defense program; Captain Jack Lowe; Mayor Peterson; and, Auditor Will Gibson. The microfilm program was considered an integral component of Portland’s CD program. 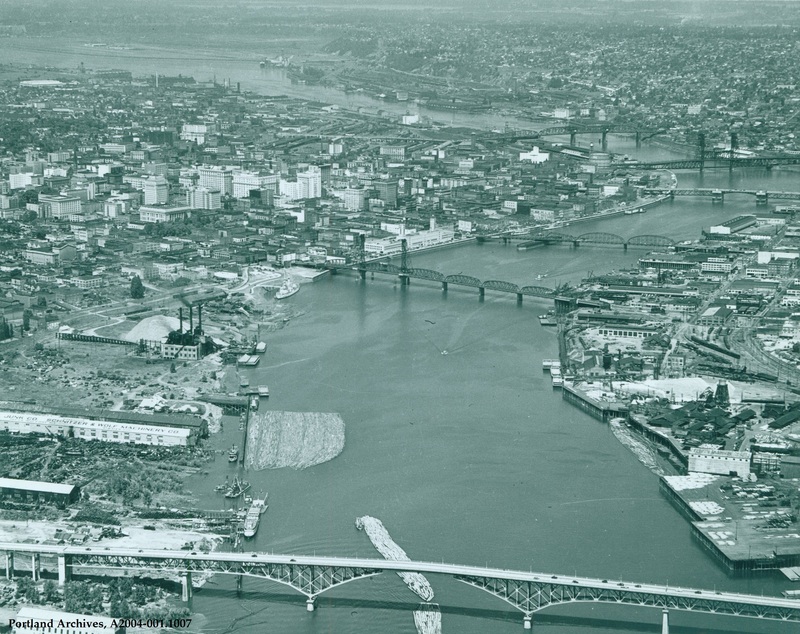 Aerial of the Willamette River and downtown looking north from the Ross Island Bridge, 1935.